Perfect timing Really as the world is watching the Korean Peninsula and all the rhetoric and war talk from Kim Jong Un and Co, Last years YouTube sensation Psy is back with new single Gentleman (I was according to YouTube viewer 302). Gentleman is a very hypnotic tune and very pleasing to hear as a listener. 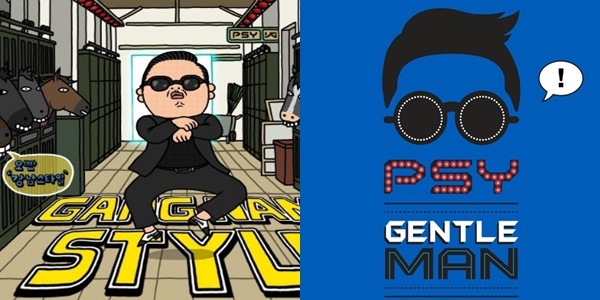 I think Psy is going into be in for a very hard time because many Bandwagon passengers will instantly say Gentleman is not as good as Gangnam Style rather than look at the bigger picture. Music news in the UK this week has all been about a song from the Wizard of Oz called Ding Dong the Witch is dead and an online campaign to get the song to number one as a way to mark the passing of Margaret Thatcher. I can't say I was ever a fan of hers but then again I was born in 1990 so can't really have a meaningful opinion on her politics, What I can say is sheer respect should be in order as someone has died and no matter what you think of her it was a watershed moment in UK history when she became our first female Prime Minister. Since our official top 40 chart is broadcast on BBC Radio 1 they are naturally stuck between a rock and a hard place when it comes to what to do about this song, The BBC decided that they would not play the full song as that would be disrespectful but they would play a few second sample within a news item telling listeners why the song is in the charts, I personally believe this is the best way to go as most of BBC Radio 1's remit would be my age or younger therefore don't know her or her politics so therefore this would be a case for informing and educating listeners and that is what the BBC aim to do.